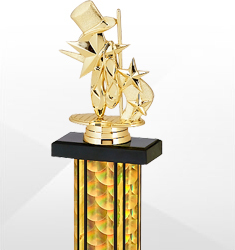 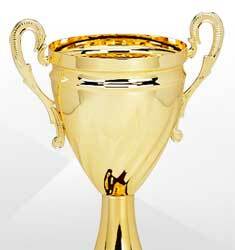 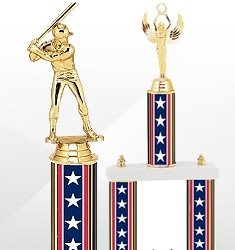 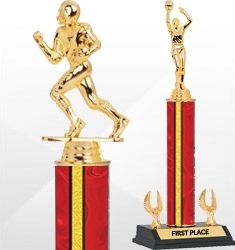 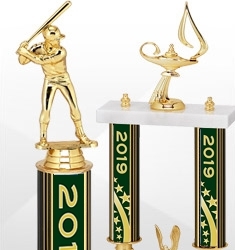 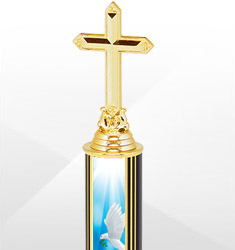 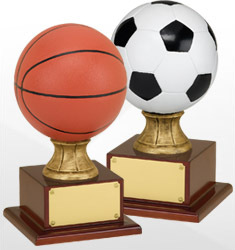 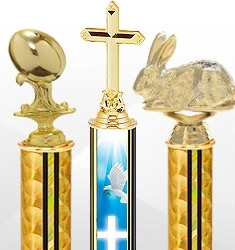 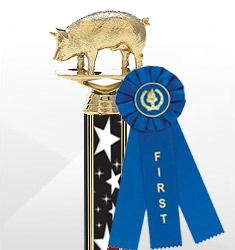 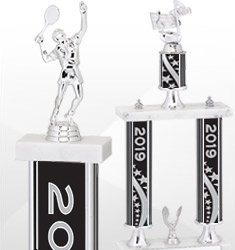 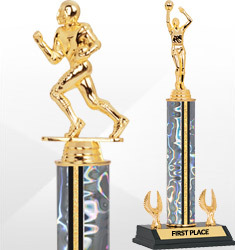 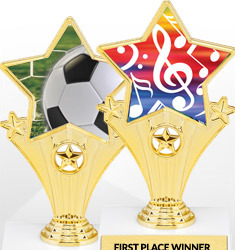 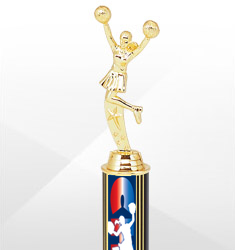 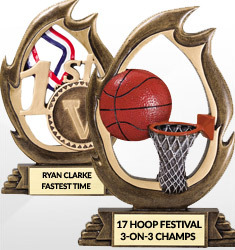 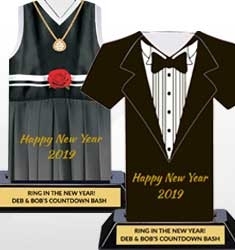 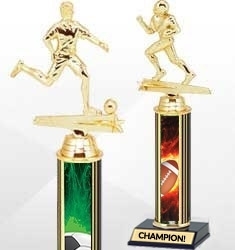 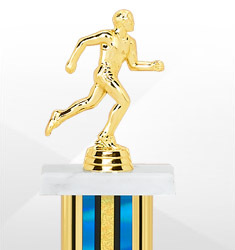 We stock trophies for every event, whether it be a state fair, sports game, Bible camp, cheerleading competition, or dance performance. 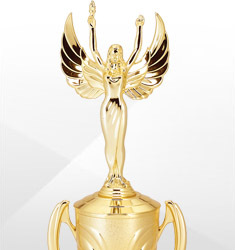 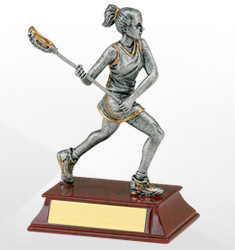 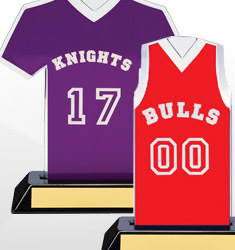 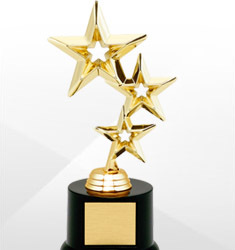 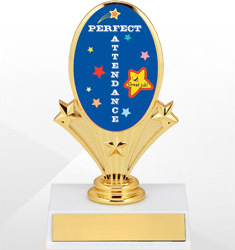 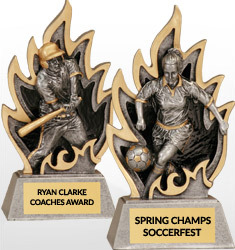 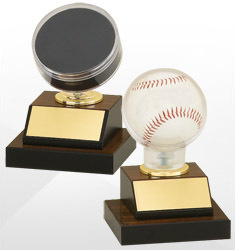 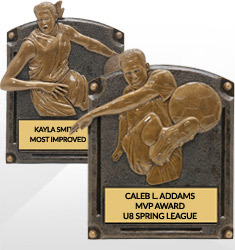 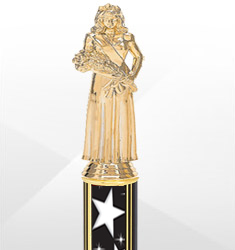 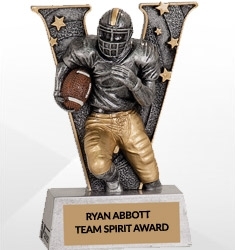 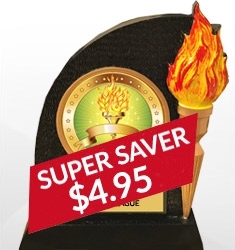 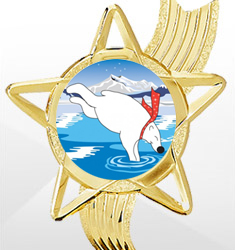 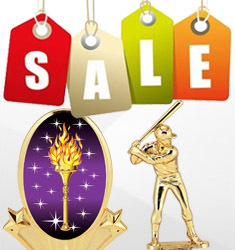 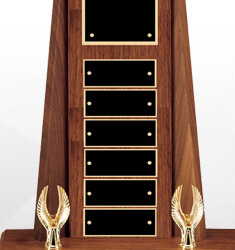 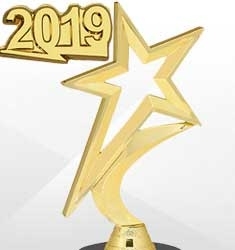 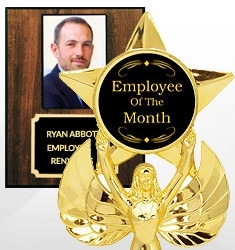 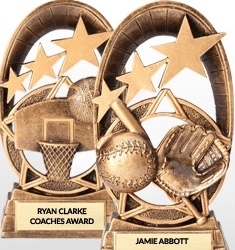 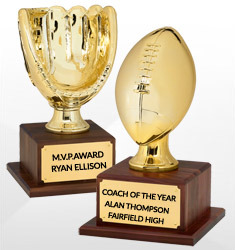 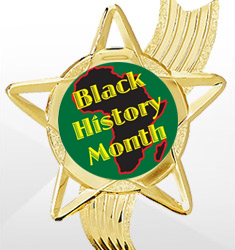 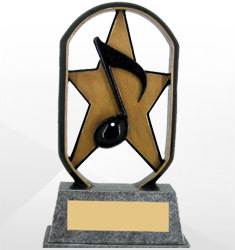 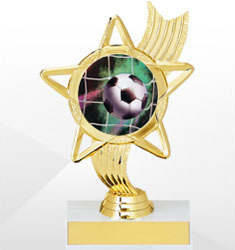 Along with academic and corporate trophies, we can provide you with the accolade that will fit your need at a fair price. 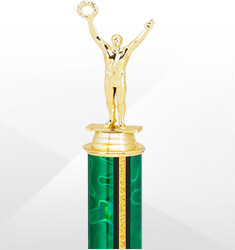 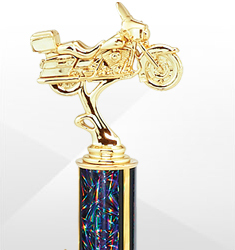 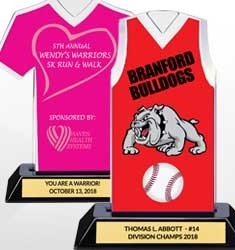 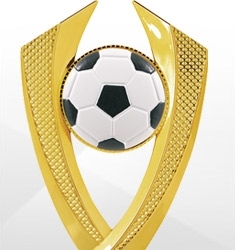 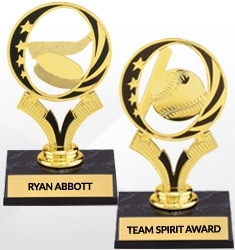 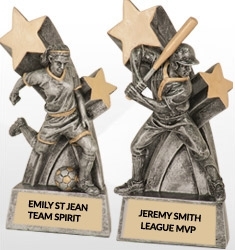 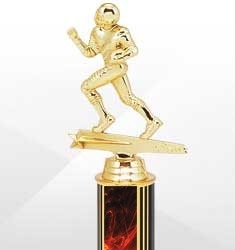 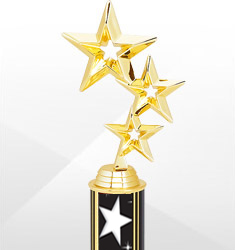 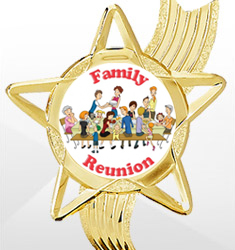 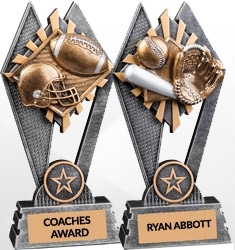 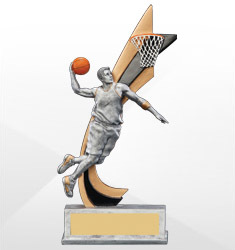 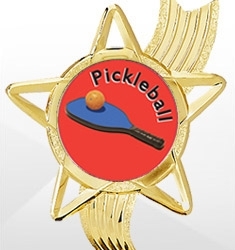 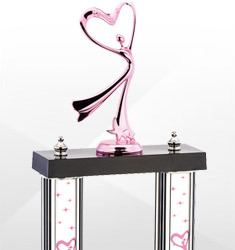 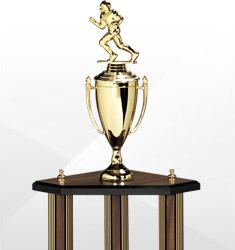 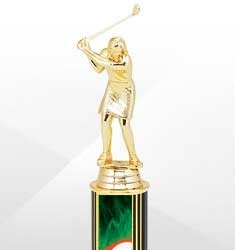 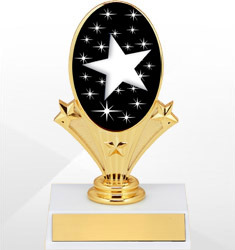 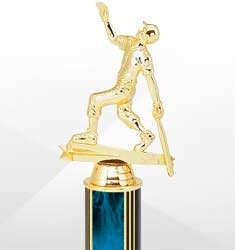 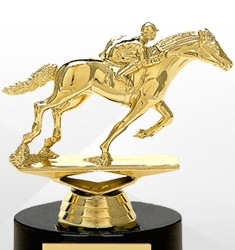 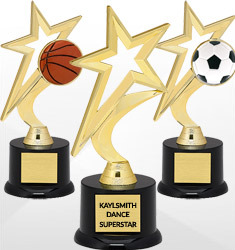 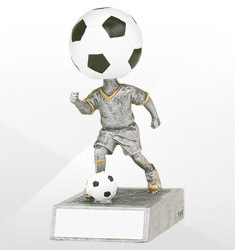 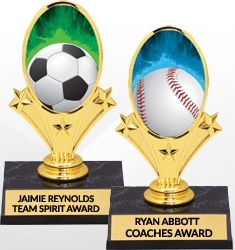 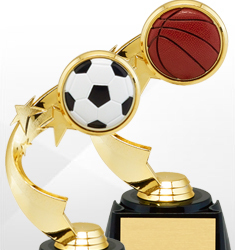 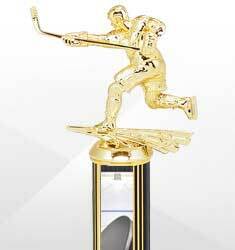 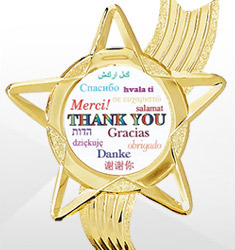 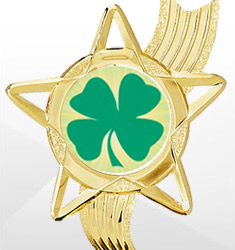 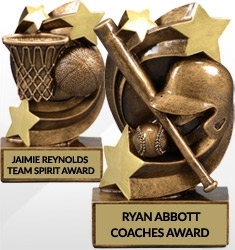 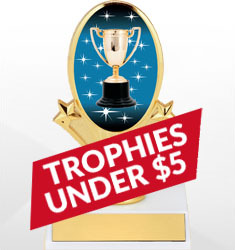 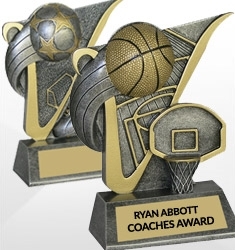 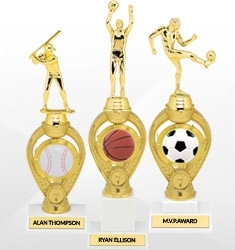 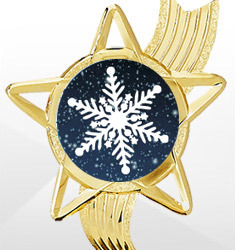 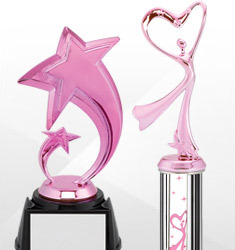 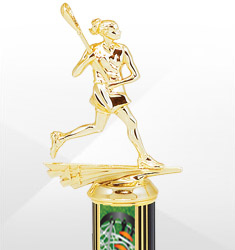 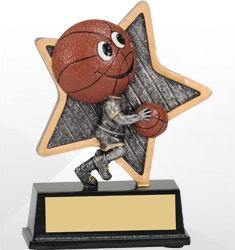 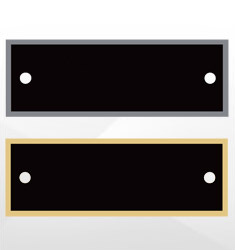 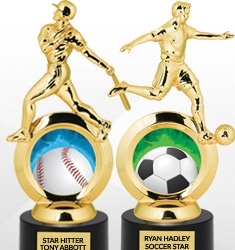 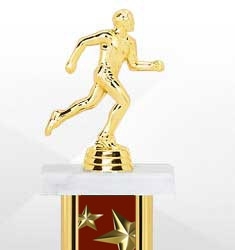 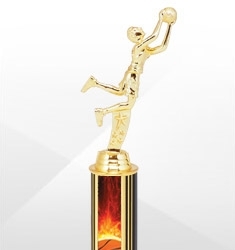 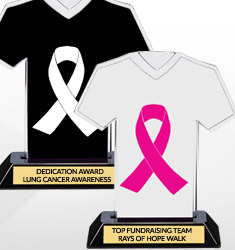 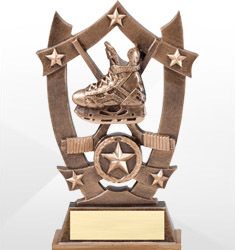 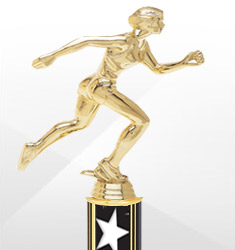 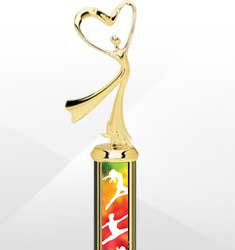 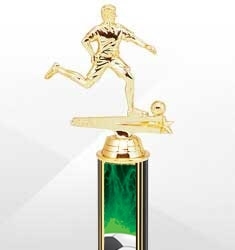 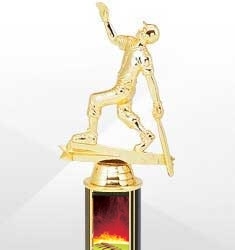 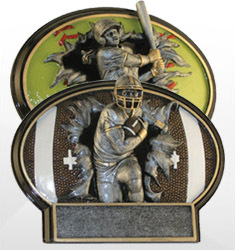 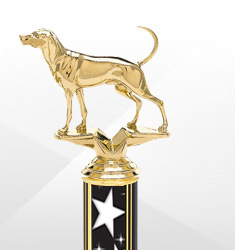 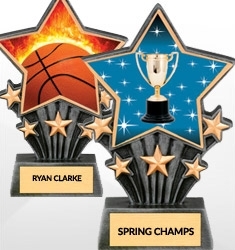 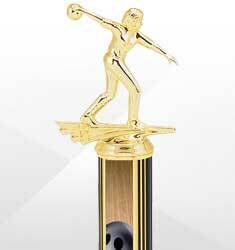 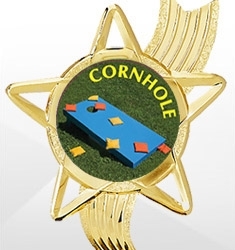 Make your own personalized custom trophy today!